“You’re fired!” No one likes to hear those words. And it’s not very fun to say them, either. You probably won’t tell someone they’ve lost a job the way Donald Trump does it on his TV show, but it seems like it would be a lot easier if you could just say those words and leave the room. Terminating someone’s job, though, requires a little more compassion, finesse, and explanation. If you are ever called upon to tell someone they’ve lost a job, here are some things to consider. Terminating an employee because of gender, race, religion, marital status, or age is illegal. 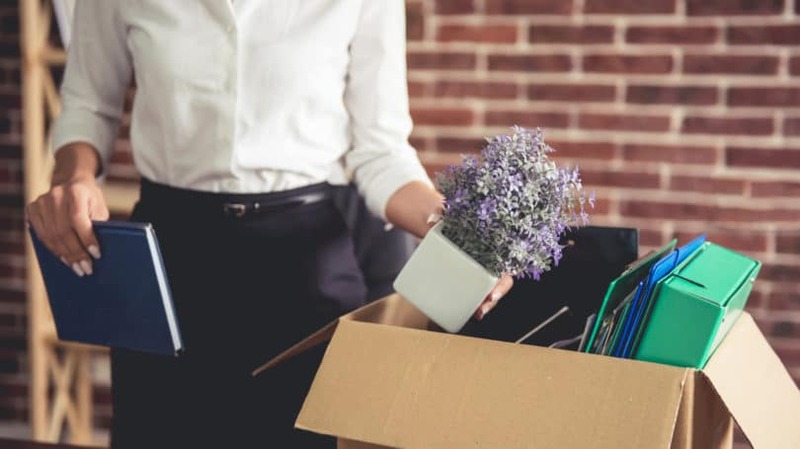 Additionally, firing someone for personal reasons, without any valid reason to back up your decision, will likely result in a wrongful termination lawsuit. Employers must always have a legal reason for firing employees. It is vital that you know federal laws pertaining to the termination of an employee. 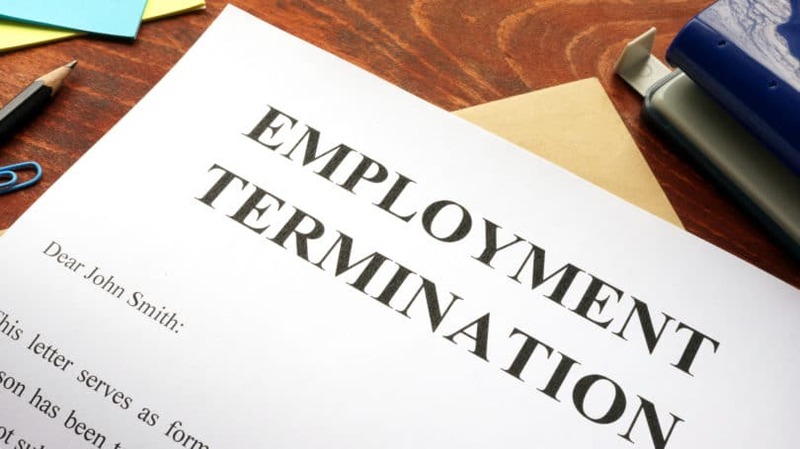 Beginning with the Termination topic page on the Department of Labor website, find information about equal employment opportunity requirements, laws related to firing whistle blowers, and other information about how to properly terminate an employee. In addition to understanding federal law, you will also need to know job termination laws for your state. Before you fire anyone or engage in your first round of layoffs, make sure you are in compliance with state and federal laws. If you have an HR department, your human resources representatives should have steps in place for how the termination process should be followed. If you do not have an HR department, you will need to be fully versed in the laws regarding termination. An HR consultant can provide useful help, tips, and information about laws related to employee termination for you and members of your management team. Make sure that you cover the consequences or actions that could result in job termination in the employee handbook during employee orientation. Have each employee sign a document stating that they understand company expectations and that they understand the reasons for job termination outlined in the company handbook. Additionally, some companies have employees sign a code of conduct. If employees are being fired for poor performance, you should warn them ahead of time that their work habits are not up to par. In some cases, you might want to provide feedback on what needs to be done to bring the employees’ performance in line with expectations. If these measurable goals are not met, then you might decide to terminate employees. If someone is fired due to performance, it is imperative to have a paper trail of performance reviews and printed warnings at the time of job termination. A warning is also usually needed before you fire someone for productivity issues. If an employee spends a great deal of time on personal calls, checking social media or sending long, unnecessary emails, you can note this on performance reviews, and ask that the employee reduce the amount of time spent on these unproductive activities. 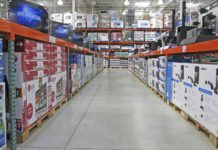 Depending on applicable laws, you will likely have to inform your employees that you are monitoring their computer use, or their phone use, before you can use information gleaned from these activities as grounds for termination. A computer and phone policy, that explains company email, website usage, and phone calls made on company time may be monitored, should be addressed with new hires in employee orientation. In the case of gross misconduct, such as sexual harassment, violation of a no-dating policy at work, verbal abuse, hate speech directed at employees or clients, or physical harm of another employee or a client, you can usually consider an employee warned if you covered the consequences (including termination) during employee orientation. The same goes for stealing. It goes without saying that stealing won’t be tolerated in a work setting. However, it is generally a good idea to make sure that the consequences of these actions are covered during orientation. In some cases, employers should warn employees about possible termination. For example, some companies announce, two to six weeks ahead of time, that they will be laying off workers. This gives some workers the chance to take early retirement, as well as renew their contacts and update their resumes. Thus, if you know that layoffs are inevitable, consider providing employees with an advance warning. You might also consider offering to pay for professional resume services, providing employees with a paid membership to a job search website or offering to pay for a head hunter. These steps will not only help create goodwill, but will significantly decrease the chance of a potential lawsuit against you. When it’s time to deliver the bad news, what you say, and how you say it, matters. It is important that you remain professional and do your best to be calm. You can show some compassion and sensitivity, but you still need to be professional. Be straightforward. Be up front about the reasons for the termination. If someone is being fired because performance has suffered, this should be clear to the employee and backed up with a paper trail – including emailed or printed warnings or a poor performance review. Do it privately. Make sure that you give the bad news in a private place, limiting the number of people who witness the event. A meeting room is usually a good choice. Have a witness. Bring in a human resources representative, your supervisor, the employee’s direct supervisor, or someone from the legal department, as appropriate. It’s always best to have a witness who can take notes, and help make sure the situation remains under control. Additionally, the witness can serve another purpose, such as explaining the details of a severance package. Stick to the point. Be brief, clear, and to the point. State the essentials: “We’ve talked about your performance and productivity issues in the past, and things haven’t changed. We have to let you go.” Don’t talk about other issues, and don’t talk too much. Back up your claims. Make sure you have documentation of an episode of misconduct, or failure to meet performance standards. You should always record warnings that you have given, so that you have them as back up during termination proceedings. Let employees know their options. Be sure to let the employee know about severance policies, health care options, or career counseling if your company provides these options. Direct the employee to the people that can help transition to the new situation. Consider how you will have them collect their things. If the employee seems calm, and wants to gather his or her things quickly and leave, you can consider allowing this course of action. In many cases, though, it can be a good idea to schedule a time outside normal office hours for the employee to come back and gather belongings. This can prevent awkwardness and reduce the chances of a scene. Only if the employee becomes threatening, verbally or physically, should you have him or her escorted off the premises. After the employee has been let go, do not speak ill of him or her. Do not divulge information about what happened. It is important that you remain professional even after the employee is gone. What you say about the employee after he or she has left could potentially be used against you during a wrongful termination lawsuit. Your ability to be calm, professional, and polite is essential. Firing someone is never easy, no matter what the reason. Even if you will be glad to see the back of an employee, the process can be difficult. You want to make sure that everything you do is in accordance with company policy, and in compliance with federal and state laws. You will protect yourself and your company if you follow proper protocol. Have you had to go through this difficult situation? Tell us how your company coped with layoffs or how you handled a tough job termination.